We couldn’t ask for a better reprensentative for this community event then Freeholder President, Ms. Timberlake. She has made affordable homeownership assistance more attainable for citizens in need; created a Citizen Immigration Services committee to welcome those joining Essex County from other countries; innovated new methods to level the financial playing field for SBE, WBE, and MBEs; was successful advocating for the Sheriff’s department to obtain body cameras for officers; is holding banks accountable for giving back to the community by proving they are working with people to avoid foreclosure, supporting nonprofits, granting access to credit in communities of color, and maintaining abandoned homes owned by the banks, etc. 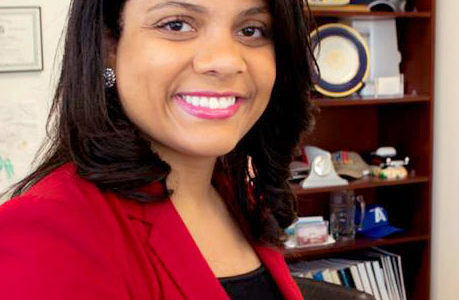 Ms. Timberlake is currently, the founding Executive Director of a nonprofit affordable housing organization called the Essex Community Land Trust (ECLT). The ECLT supports the creation of permanent high quality affordable housing throughout the diverse municipalities of Essex County, NJ. In this position, Britnee has been successful in leveraging over 1 million dollars to be used to build affordable housing in suburban communities for low- to moderate- income people. Thursday, NOVEMBER 30TH at 6pm. Get your tickets HERE! Please join us on November 30th 2017, as HANDS honors “grass-roots” community trailblazers, organizations, residents and stalwarts of Orange, New Jersey at the upcoming 18th Annual Community Leadership Awards: Building Together celebration at the Walter G. Alexander Community Room, 105 Wilson Place, Orange, NJ. Do you have an idea that will bring people together, get to know your neighbors better, and make meaningful change in your community? Apply for a Neighborhood Project Grant to help make it happen! Click here to download the application. We are happy to answer any questions about the application! Sign up for Informational Grant Workshops For more info, click here. Informational grant workshops will be held Monday, October 16; Wednesday, October 25; and Tuesday, October 31 10am & 5pm each day, location: The HUUB at the First UU of Essex, 35 Cleveland St, Orange, NJ. This round of grants will give special consideration to projects focused on making Orange’s streets safer! Orange is full of talented people with exciting ideas about how to make the city a better place. We are supporting resident-led projects in the Heart of Orange neighborhood to build community, cultivate neighborhood leadership, expand activities for youth, promote wellness and health and to more generally celebrate the diversity of people living in this city. We are accepting applications from resident groups for projects in the Heart of Orange neighborhood. Groups may be long-standing, newly established or in the process of forming, and are not required to have non-profit or 501(c)(3) status. Submitting an application is easy: Describe a project to strengthen your community that can be carried out from July-November 2017 and provide a budget of up to $500. We look for projects that: are clear and thoughtful; address important community concerns; contribute to building stronger communities through neighbors working together; and result in concrete and sustainable improvements. Grants will be awarded on a rolling basis beginning November 15, 2017. These grants are NOT for: individuals; for-profit projects; businesses; organizations with paid staff; religious, fraternal, and partisan organizations; projects affiliated with staffed organizations; groups that have received Neighborhood Project Grants in the last year. We also do not fund the following: rent, utilities, web hosting, web development, 501(c)(3) incorporation fees, salaries, speaker honorariums, and computer equipment. Contact Charlie Wirene at 973-674-0010, ext. 1, or OrangeHUUB@gmail.com to ask a question or request an application. The Heart of Orange is bound by Main St, Scotland Rd, Central Ave and Oakwood Ave. HANDS Introduces the new Hat City, Get Ready! July 30th from 3pm to 6pm, 459 Valley Street in Orange, New Jersey – An exciting partnership with a nationally-recognized celebrity chef and a well-established music impresario will bring changes to a Valley Arts District mainstay. For more than 7 years, Hat City Kitchen (HCK) provided great food, music, and drink; developed a distinct brand; and grew a regional following. We are excited to announce sweeping updates that will enhance and expand the service offerings and make HCK a favorite destination for years to come. Beginning next week (July 31) Hat City Kitchen will close for renovations — with a grand re-opening in early October. HCK will upgrade the acoustics and lighting, redesign the dining room, and launch a new menu. With these changes, HCK will offer a better and more memorable customer experience. Please join us Sunday, July 30th from 3pm to 6pm, 459 Valley Street in Orange, New Jersey for our Renovation Launch Party, featuring a Pre-Renovation Jam session to celebrate 7 years of HCK, meet our critically acclaimed, “Best of” chef, and learn more about the new “Hat City“! About Hat City Kitchen: Formerly Ricci’s in the Valley, HANDS restored this local landmark, continuing the tradition of good food and music. 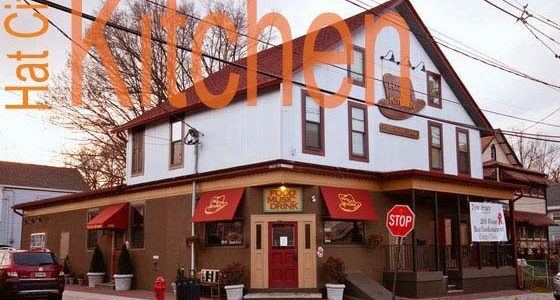 In 2010 Hat City Kitchen was rated “Best New Restaurant” by New Jersey Monthly Critic’s Choice which is great publicity for a restaurant whose profits go back into the Valley Arts District revitalization activities. About HANDS: Housing and Neighborhood Development Services (HANDS) Inc. works to make Orange an inclusive city where people can and do choose to live and work. HANDS amplifies resident voices, finds consensus around local challenges and opportunities, and executes community-based solutions. We redevelop deteriorated vacant homes for affordable homeownership, adaptively reuse pivotal former industrial and commercial buildings as mixed use developments, empower resident action, and engage in creative placemaking. HANDS is a nonprofit corporation founded in 1986 and is a chartered affiliate of NeighborWorks® America. For more details, visit www.HANDSinc.org or email info@HANDSinc.org. This Tuesday, August 1st many communities and neighborhood block organizations will be coming together for National Night Out. Millions of neighbors will take part in events all around the country (and military bases worldwide) to celebrate the spirit of community camaraderie. 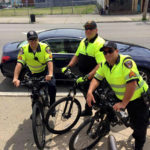 There will be block partie s, festivals, parades, cookouts, caravans and other community events that will highlight police-community partnerships, discussions, public safety tips, demonstrations, youth events, and much more. In Orange, NJ, block party cookouts are so popular, that the community police officers, local officials, and council people hop around from block to block to engage in conversations and demonstrations that encourage community spirit with local police. 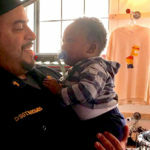 At HANDS, we like to think of the police as Ambassadors of Peace in #OrangeNJ. They are there for you a nd your family/children when you can’t get to them. That’s why we’re highlighting moments from the past year that showcase the best of what our police do. Thank you for being there when we most need help, protection, and most importantly, community spirit. HANDS is pleased to announce receipt of a $1.5 million grant award from the New Jersey Department of Community Affairs, Neighborhood Revitalization Tax Credit (NRTC) Program which will support the Heart of Orange Job Training Center and the construction of the Valley Gateway Center. Both projects will work to strengthen neighborhood leadership, community organizing capacity, foster creative businesses, and local arts. HANDS will develop a vacant, blighted site adjacent to the Highland Avenue NJ Transit commuter rail station with a new 2,800 square foot building to house a Business Incubator for “creative enterprises”. The building, in a park-type setting, will be the Gateway to the Valley Arts District. The grant also supports coaching and assistance to Orange entrepreneurs and supports nonprofits arts organizations in the Valley Arts District. The new building will augment the Highland Avenue Station rehabilitation underway by the City of Orange. 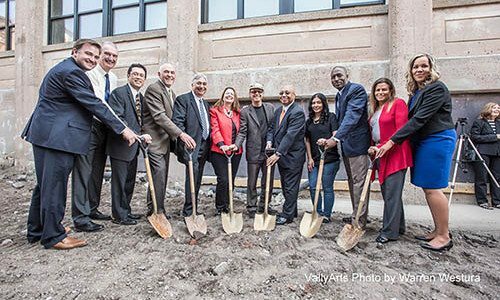 HANDS will also rehabilitate a long-vacant and deteriorating commercial building, located in the Heart of Orange neighborhood, into a job training center for young adults learning construction trades. In conjunction with YouthBuild Newark, trainees will help rehabilitate the Center building as part of their training and once that is complete, help rehabilitate chronically vacant and deteriorated housing in the neighborhood. “This project is another example of HANDS helping community members plan, shape, and improve their own neighborhood. It will raise the quality of community life and provide career and education alternatives to local youth.” says HANDS Executive Director, Luther Flurry. Corporate contributors to these programs are JPMorgan Chase Bank, Valley National Bank and NJ PURE Insurance, Wyndham Worldwide, CURE Insurance, PSE&G, NJM Insurance Group and Solix, Inc. “Without the vision and commitment of our Corporate Partners and the NRTC Program, these projects could not happen.” says Mr. Flurry. About the Neighborhood Revitalization Tax Credit Program: The NRTC Program provides business entities with a 100% tax credit for funds provided to nonprofit entities carrying out comprehensive revitalization plans. Nonprofit entities may use funds for housing and economic development and supportive services that promote neighborhood revitalization. Hat City Lofts is a 2016 Smart Growth Award Recipient. On Thursday, June 9th, HANDS and partners were awarded a 2016 Smart Growth Award from New Jersey Future at a celebration held at the Panasonic Building in Newark. HANDS, along with project partners, Community Asset Preservation Corporation; Community Housing Capital; New Jersey Housing and Mortgage Finance Agency and New Jersey Community Capital were recognized for the transformation of the F. Berg Hat Factory (now known as Hat City Lofts) into affordable condominiums and commercial and artist space, anchoring the Valley Arts District. The project is scheduled for completion this summer. The Smart Growth Awards honors organizations and projects that help strengthen New Jersey’s economic, social and environmental future. Click here (or below icon) to see the accompanying video with project highlights. • Redevelopment of pivotal properties in target neighborhoods. • Increasing home ownership: Investing in first time homebuyers. • Increasing effective citizen engagement. • Shaping public policy and private sector initiatives. The neighborhood of Orange and its urban neighbors cycled downward during the 1970s and into the 1990s. Properties were deteriorating, vacant and abandoned. Reversing that downward slide and creating upward momentum required attracting investment and generating hope. HANDS reasoned that if we could redevelop enough of the “pivotal” eyesore properties, and engage residents and public officials in a campaign to rid neighborhoods of vacant and trouble properties, then momentum would shift and investment would follow. This work relied on an annual, house by house, block by block survey – creating a List of vacant and deteriorated houses with ownership information, taxes owed and other liens against the property. HANDS successfully cleared title to the worst properties and rehabilitated them for sale to first time buyers. The List was used by community leaders and City Hall to get other properties restored or demolished. This approach successfully stabilized several neighborhoods, though the recent foreclosure crisis and economic downturn has threatened that successful work. The Neighborhood Anchors Fund is an $11+ million source of long-term low-cost, blended financing that will be managed by NJ Community Capital. Structured as a ‘blended capital social investment fund, it can attract a variety of capital providers motivated by both financial and social returns. It’s four layers of capital each have a different purpose and profile: government agencies who issue long-term senior debt in the form of tax-exempt bonds; subordinated debt in the form of program related investments (PRI) from philanthropic foundations; low cost debt by individual impact investors; and a reserve fund, made up of gifts and grants from charitably-motivated individuals and institutions. Together they provide an affordable, longer term, blended cost of capital of 4.6% that will be used to support high-impact community/economic development in Orange. Ultimately, the Fund is part of a larger plan to accelerate the catalytic development that will fuel Orange’s renaissance by creating permanent, affordable spaces for 100+ innovators, community builders, and entrepreneurs creating jobs and improving the quality of life; leveraging an additional $250 million in Orange; and serving as a model of community and economic development for other urban communities in New Jersey and across the country.